It was through a chance visiting to The Zinc Bar one evening in April that I came upon Cameroonian artist Gino Sitson, a singer unlike anyone I had ever heard. 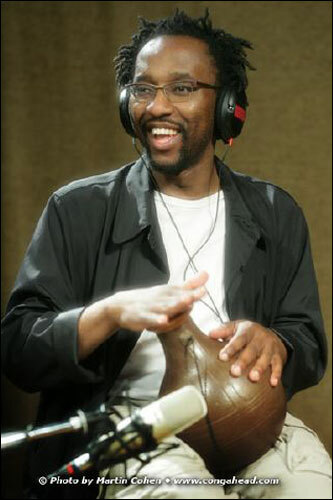 His original compositions, sung in Medumba, his native language, are alive with vocal stylings. He provided his own percussion accompaniment using his simple Moroccan drum and his voice. The band consisted of Lonnie Plaxico on bass, Williard Dyson on drums, and the amazing Helio Alves on keyboard. I thought that Gino would be an excellent addition to our holiday CD and he graciously agreed to record, along with Helio, the song "Lucia." This is LP®'s second African recording and I hope we have the opportunity to make African music a regular part of our holiday CD.